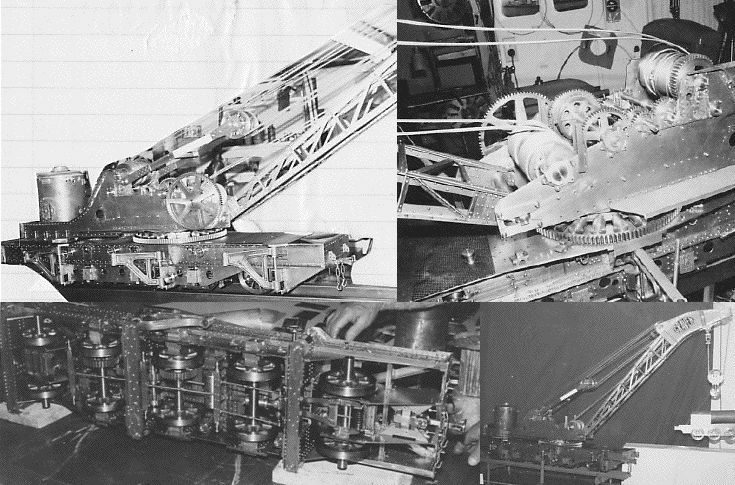 This page is split into several sections. 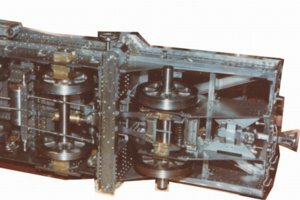 The first features NZR models and related resources. 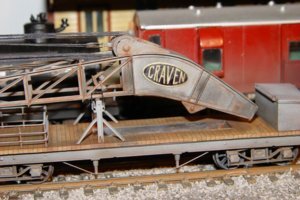 So far this is a directory of some NZMRG material, and details on some Craven 40-ton crane models. 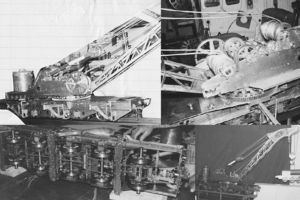 I hope to add to this as information comes to hand. 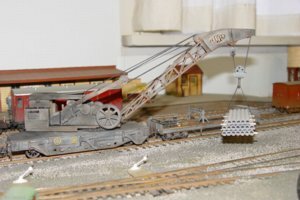 The second features models of cranes I have run across in my travels. 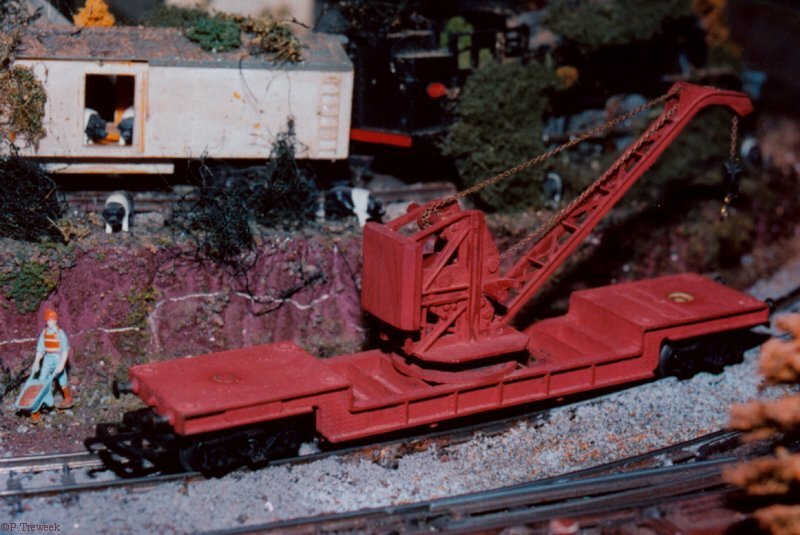 (ie other model railway cranes that can be found in New Zealand). 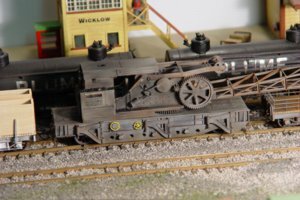 I have run across only a few NZR specific models. 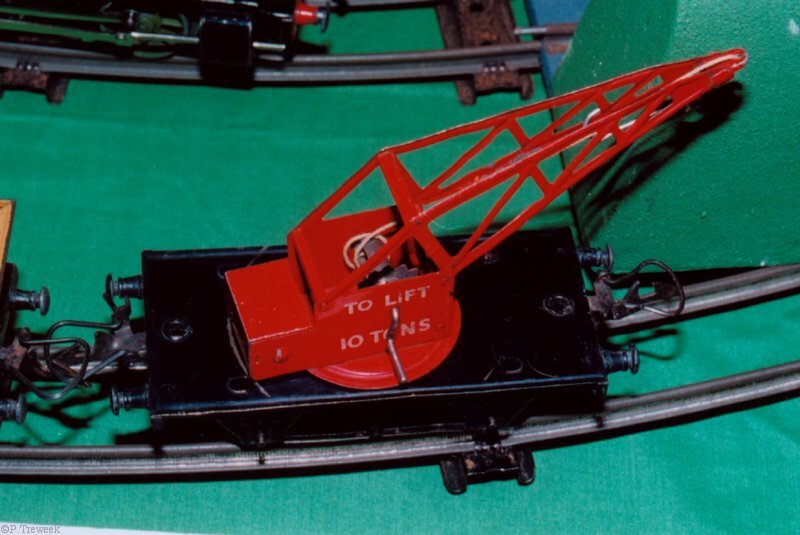 A few manufactured items are available, such as the NZR pattern pneumatic crane propduced by South Head Models. 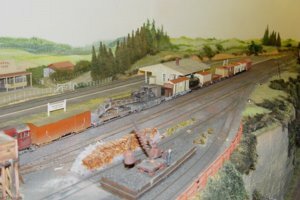 I'll add to this list as I find more. Follow the link to further pictures of Grant's Craven 40-ton Breakdown crane . The link leads to some construction pics and more pics of the finished model. 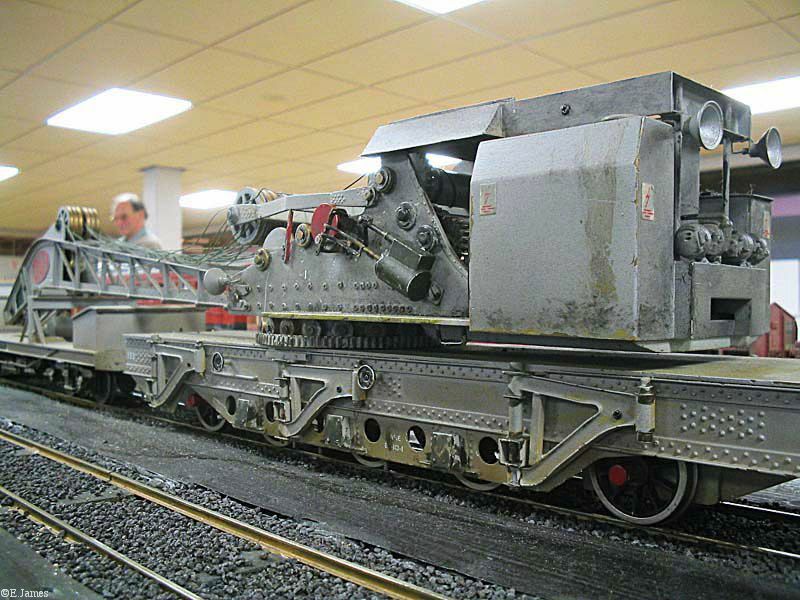 A scratchbuilt example is Bob Allen's in 9mm scale which one the Masters category in the competition at the1994 Porirua convention. 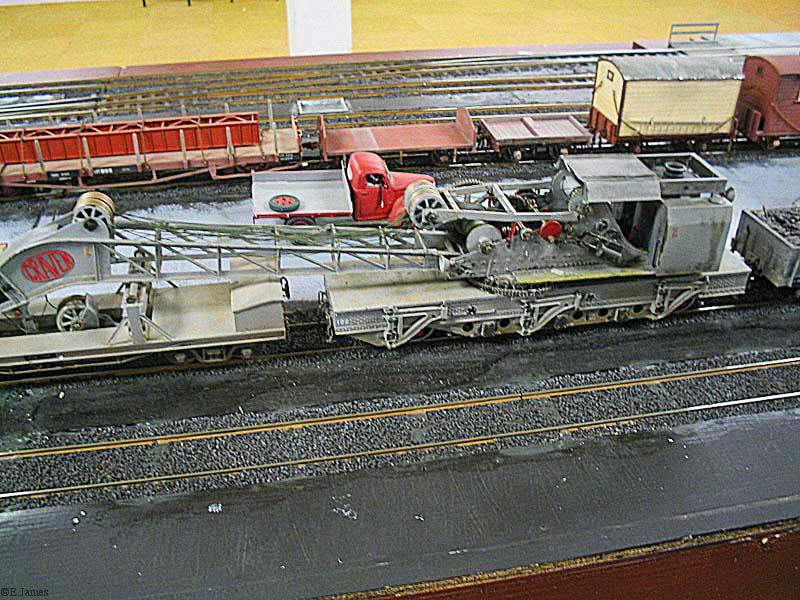 Nelson Kennedy tells me that by parking the crane on an appropriately gapped and wired piece of track it is fully functional with a dedicated controller allowing the jib to move up and down, the hook to be raised and lowered, and the superstructure to be slewed. 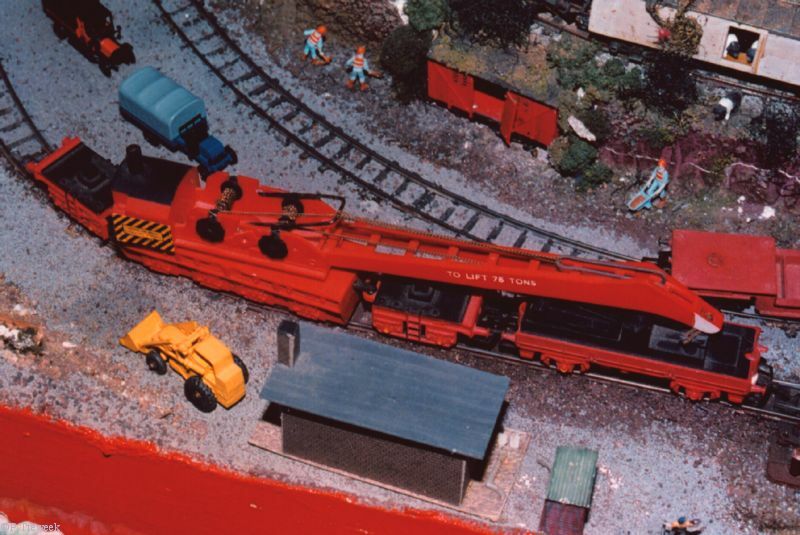 Evan James has kindly passed on the following pictures taken at Easter 2004. 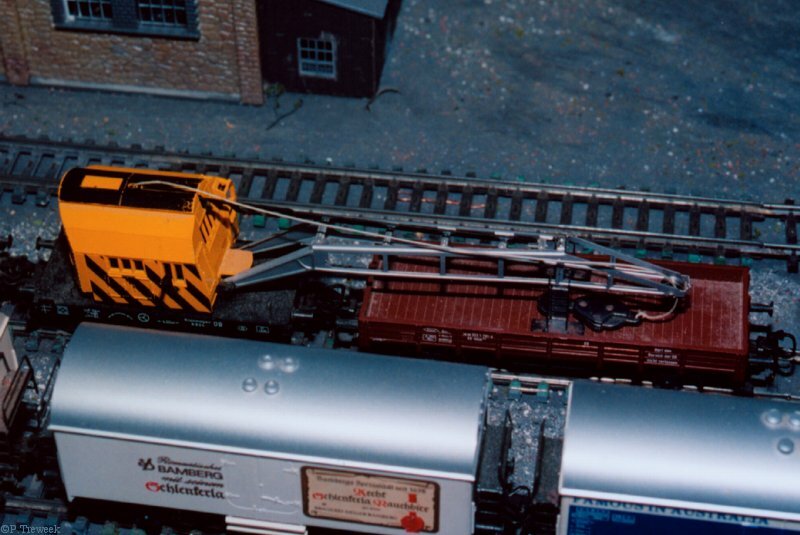 Unfortunately the crane was not rigged at the time, but the detail is still very apparent. 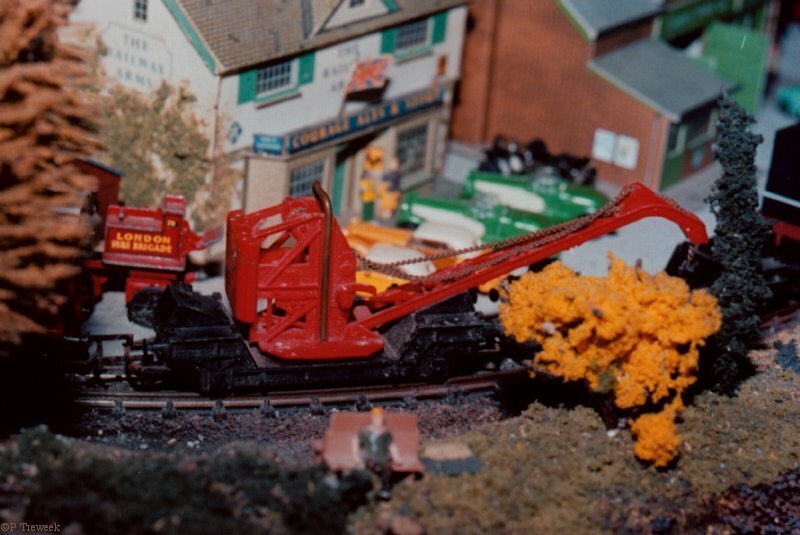 More pictures of Bob's Craven 40-ton Breakdown crane can be found on Nelson Kennedy's web site. 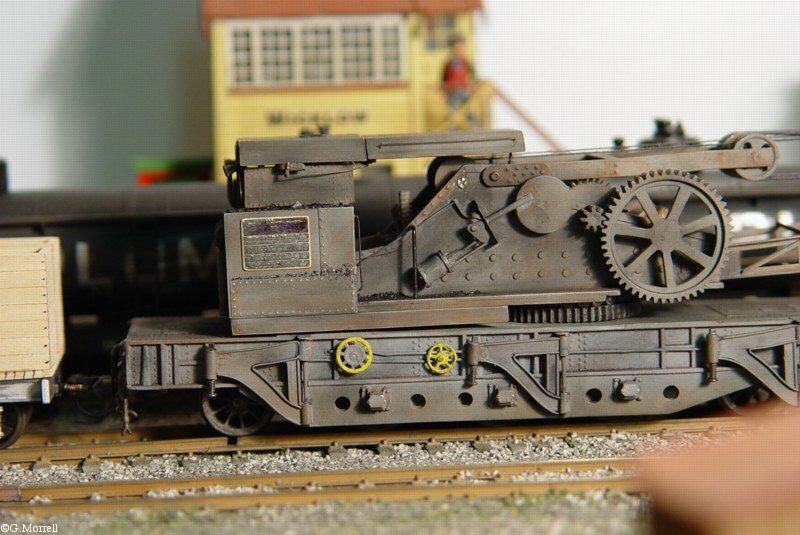 The linked pictures show the finished model. 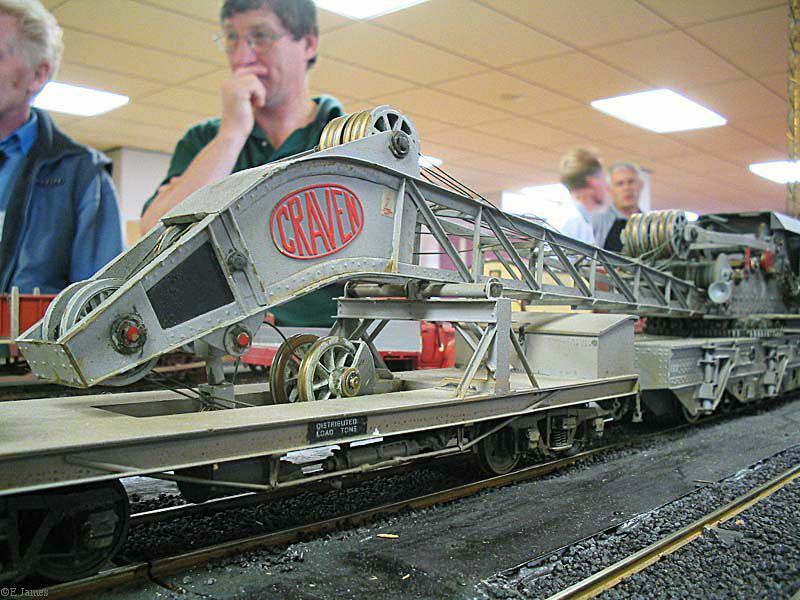 Both of these Craven models are lovely. 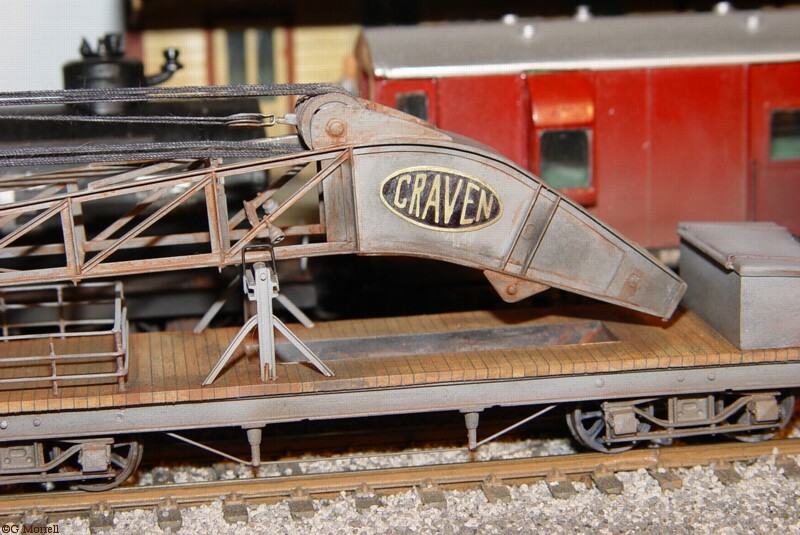 Grant tells me he is aware of four model Craven's - two more 3/16 scale examples besides his own, and Bob Allen's 9mm example. I am told there is also an S63 example in my area, but I have not seen it. 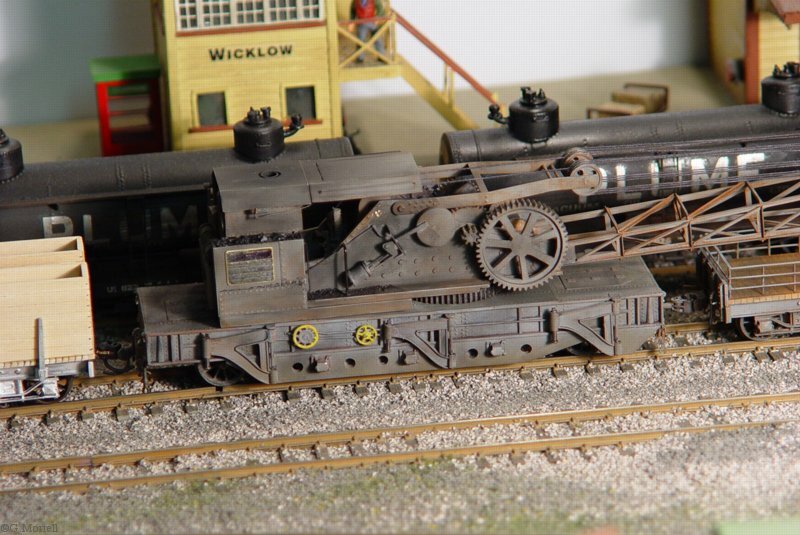 At an even more ambitious level, I'm also told that a model engineer in Auckland with over 30 years experience is producing a highly detailed example (down to hand-turned rivets and full gearing) at 5" gauge to the original drawings - I really would like to see that! 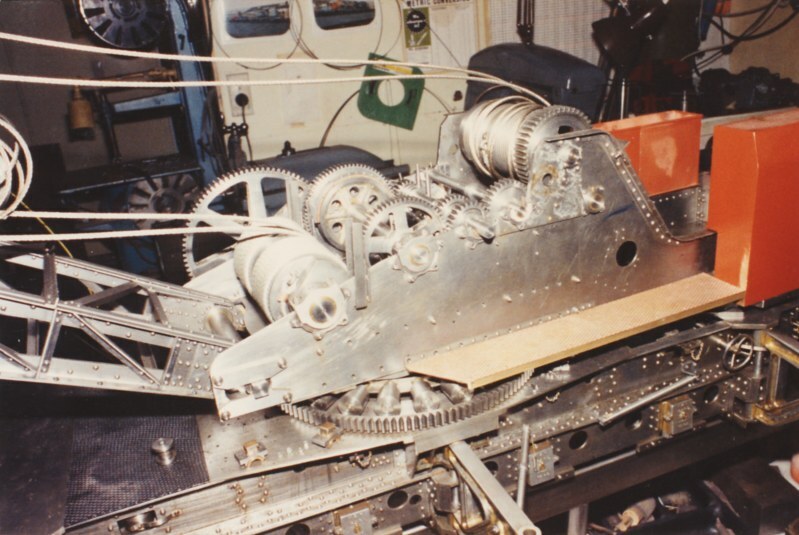 The model was commenced around 1985 and after 10 years work was about 90% complete. 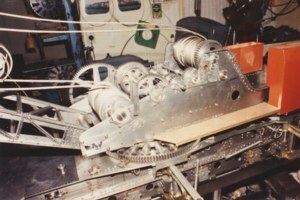 The building work has been stalled since that time. 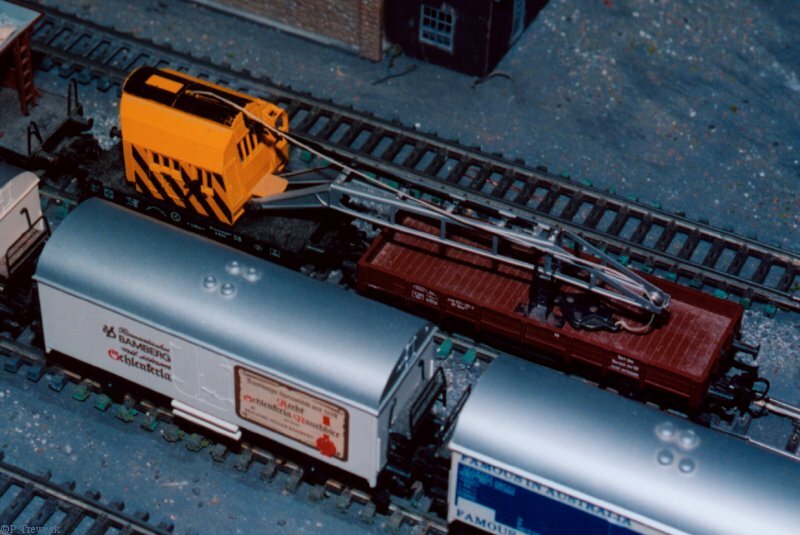 My source for details, Bruce Ward in Sydney, has forwarded the following pictures. 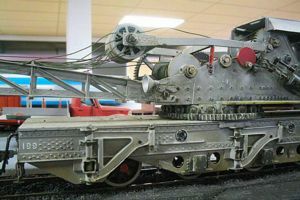 It would be something to see this finished. 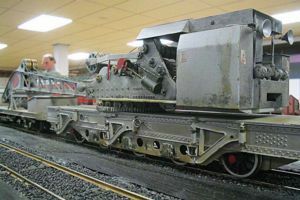 The following pictures were taken at the Model Railway Expo held at Cambridge Town Hall on Sunday July 18, 2004. 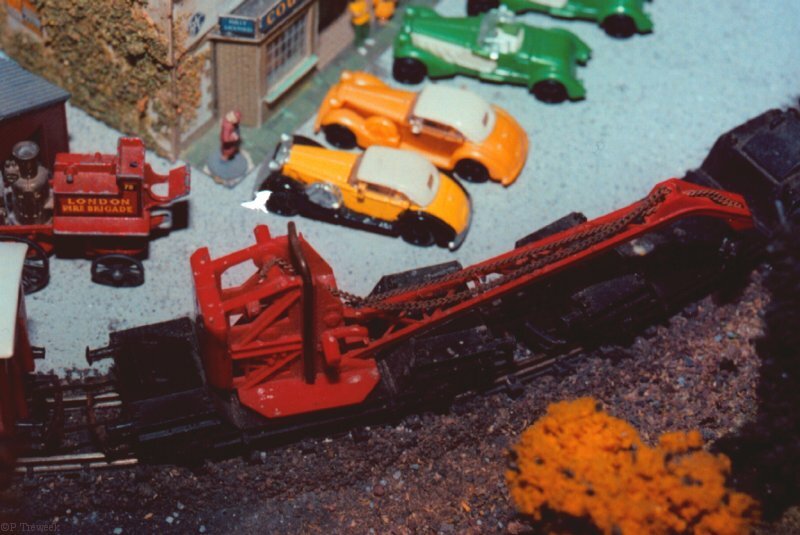 1) Tri-ang Railways series 3, "Operating crane truck" circa 1960, scale OO, displayed by Alf Bigwood of Tauranga. 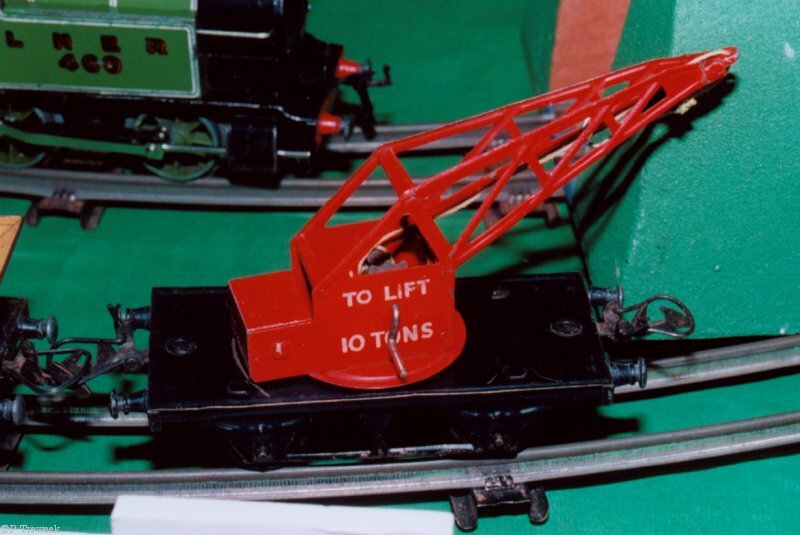 2) Tri-ang Railways series 3, "Operating crane truck" circa 1960, scale OO, displayed by Alf Bigwood of Tauranga. 3) Tri-ang Railways series 3, "Tank Recovery wagon" circa 1960, scale OO, displayed by Alf Bigwood of Tauranga. 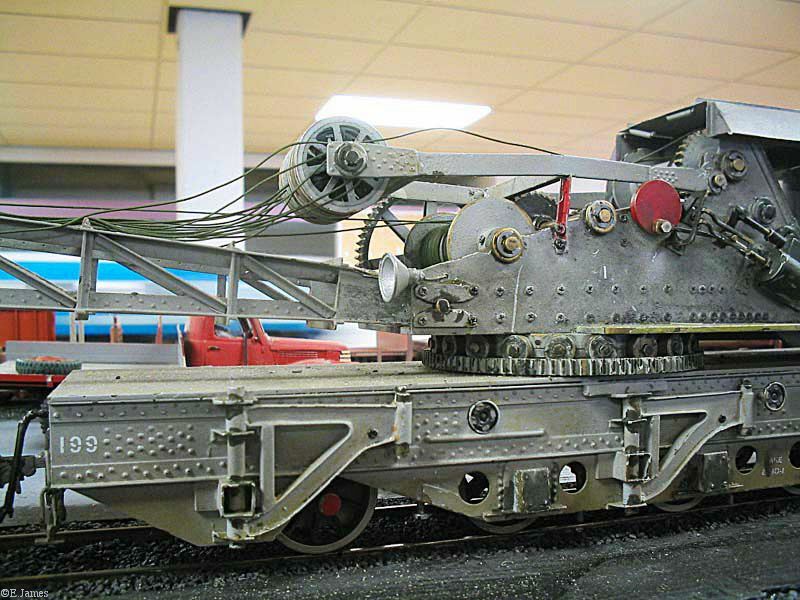 4) Tri-ang Railways series 3, "Tank Recovery wagon" circa 1960, scale OO, displayed by Alf Bigwood of Tauranga. 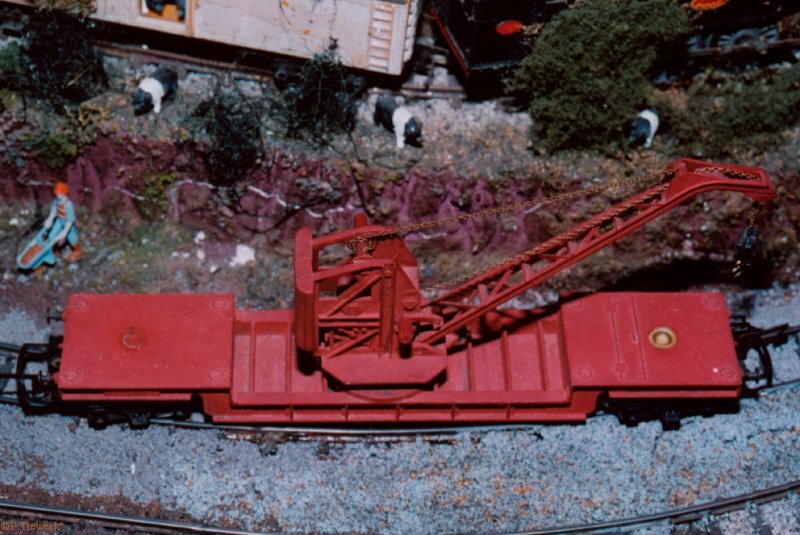 5) Tri-ang Railways series 3, "Operating 75-ton breakdown crane" circa 1960, scale OO, displayed by Alf Bigwood of Tauranga. 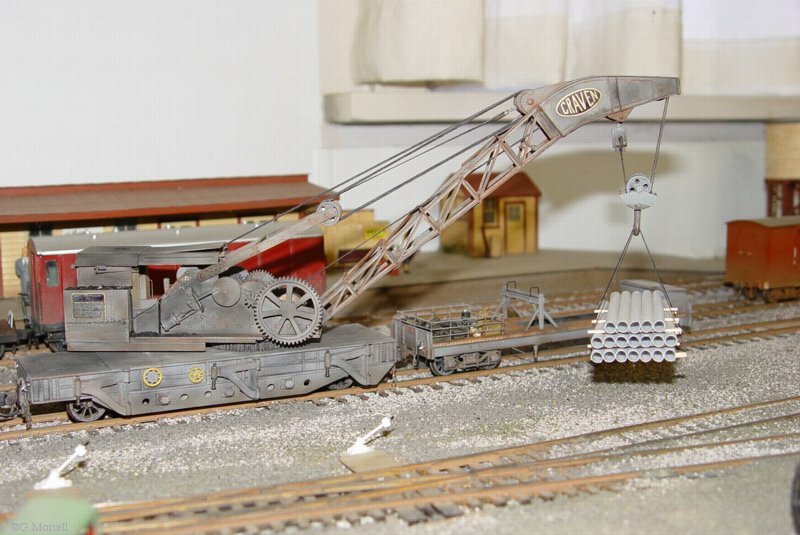 6) Unidentified manufacturer "European Breakdown crane" date unknown, scale HO, displayed by Jakob Lenggenhager of Matamata. 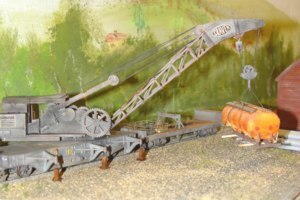 7) Unidentified manufacturer "European Breakdown crane" date unknown, scale HO, displayed by Jakob Lenggenhager of Matamata. 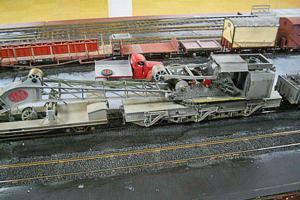 8) Hornby "10-ton hand crane" circa 1950, scale O, displayed by Graeme Robinson of Cambridge. 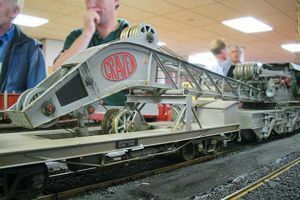 9) Hornby "10-ton hand crane" circa 1950, scale O, displayed by Graeme Robinson of Cambridge.